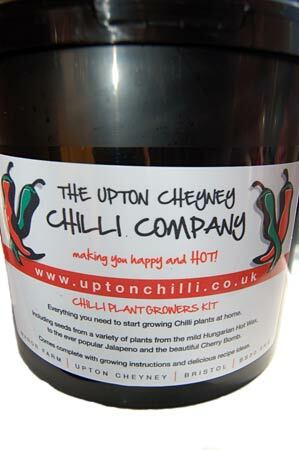 The Upton Cheyney Chilli Company is a great source of gifts for those who like their food with a bit of heat. 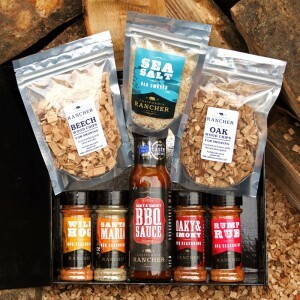 In addition to their chilli sauces and other products, the company are offering a Chilli Grower’s Kit via their website. Containing a propagator, jiffy pellets, plant identification sticks, seeds, growing instructions and recipe ideas, the packs retail for just £10 each and can be bought by clicking here. 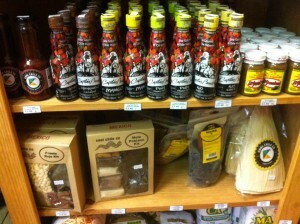 Jekka’s Herb Farm in Alveston have a great selection of Christmas gifts available. 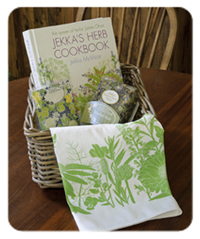 We particularly like their Deluxe Hamper (£47.50 inc. p&p), containing a signed copy of Jekka’s Herb Cookbook, Jekka’s Culinary Seed Collection, Jekka’s designer Tea Towel and a 50g bag of Jekka’s Bright & Breezy Brew Herbal Tea. Click here for the entire gift range. Described as “the ultimate gift for the BBQ fan”, Bristol-based California Rancher‘s BBQ Gift Box contains one of every product they make: four different seasonings, a bottle of their BBQ sauce, both oak and beech Smoking Wood Chips and a 160g pouch of oak smoked sea salt. It also includes an info sheet with a few of their favourite recipes, as well as instructions for using the wood chips on your barbecue at home. The gift box retails at £14.95 and can be bought by clicking here. Lovers of Mexican food will appreciate a gift from Clifton Village’s Otomi – an outlet in the Clifton Arcade that specialises in Mexican goods. Their products can also be bought online, and include kitchenware, glassware and a variety of food and drink products – have a look at their website or visit them for inspiration! “Cookware specialists for over 40 years”, Kitchens on Whiteladies Road is a haven for home cooks. With a small shop front, its size is deceptive – inside you’ll find three floors dedicated to all manner of kitchen products. Keen cooks may appreciate a gift voucher for the store (available in a variety of values), or select from a range of products that you can also buy online. 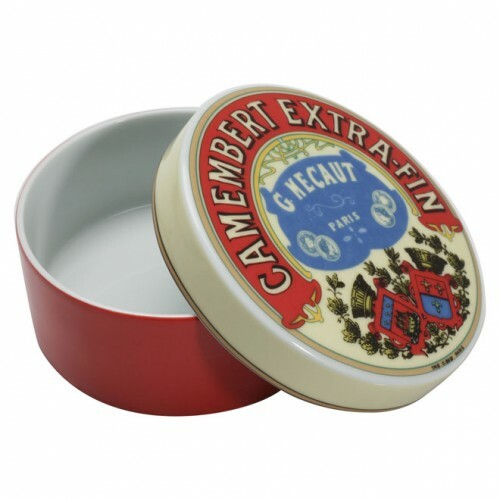 There’s a lot of stuff on their website that I’ve never seen in my life…Camembert Baker, anyone…? I enjoyed your post very much. The Christmas gift ideas are perfect. I especially like the cookware products from the Kitchencookshop website. I also got some information about Jekka herb farm which deals with over 650 varieties of rare herbs and medicinal herbs.